A Toronto-based groundbreaking approach to treating mesothelioma has crossed the Canadian border and is now part of an innovative Seattle cancer treatment center. Officials at the Swedish Cancer Institute in Seattle recently adopted the Surgery for Mesothelioma After Radiation Therapy (SMART) approach that originated at the Princess Margaret Cancer Center in Toronto. The therapy is a significant shift from the traditional lower-dose, radiation-after-surgery method to a more high-intensity approach that has more than doubled the three-year survival rate for pleural mesothelioma patients. Officials at the Swedish Cancer Institute said preliminary results are similar to those reported in Toronto, but they are hoping to exceed those standards. They also endeavor to create a new line of treatment for future mesothelioma patients in the U.S.
Mehta joined Swedish physicist Susan Richardson, Ph.D., in publishing their recent work involving the SMART approach and quality metrics in Medical Physics. She presented the results this week at the annual meeting of the American Association of Physicists in Medicine in Anaheim, California. The SMART approach involves a five-day course of hypo-fractionated Intensity-Modulated Radiation Therapy (IMRT) followed by an extrapleural pneumonectomy (EPP) — the most aggressive mesothelioma surgery. It involves removing an entire lung, the lining around it, the pericardium and parts of the diaphragm. The radiation approach used in SMART is aggressive, too. The dosage levels to the lung are toxic and done only with the assurance the EPP will follow, and the entire lung will be removed. It requires more than the usual coordination between the thoracic surgeon and the radiation oncologist. The theory — in its simplest form — is that intense radiation before surgery will stop or lessen the cancer’s ability to spill or seed in the chest during the operation. It reduces the recurrence rate of mesothelioma, which is often a big problem when radiation is administered traditionally. The Swedish study involved five mesothelioma patients who underwent the SMART approach. Although they are in the early survival period, all are doing well today, experiencing a quicker post-surgery recovery and fewer complications than normal for patients undergoing an EPP. In the earlier Toronto study, the three-year survival rate with the SMART approach was 72 percent, more than double the previous rate of 32 percent. The three-year survival rate for those with the epithelial variety of mesothelioma was 82 percent. Many of these patients already have survived five years and beyond. The average survival rate for pleural mesothelioma is 9-18 months. The use of aggressive radiation to treat cancer is not unique to the SMART approach. Cancer centers already have seen great success with rectal cancers using the IMRT before surgery. 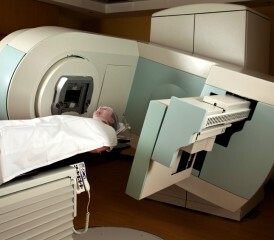 All patients tolerated the five-day radiation well in Seattle and proceeded to surgery within seven days. Reported toxicity included grade 1 esophagitis, grade 2 fatigue and grade 1 nausea. The hope at the Swedish Cancer Institute is that other specialty centers treating mesothelioma will follow its lead and the protocol it has detailed with quality metric software critical for the multidisciplinary involvement and compressed schedule. The majority of mesothelioma patients are not even candidates for surgery. Often the disease has spread too far before it is diagnosed, and even some surgical candidates opt against the aggressive operation.